Summary: Love handmade beaded bracelets? 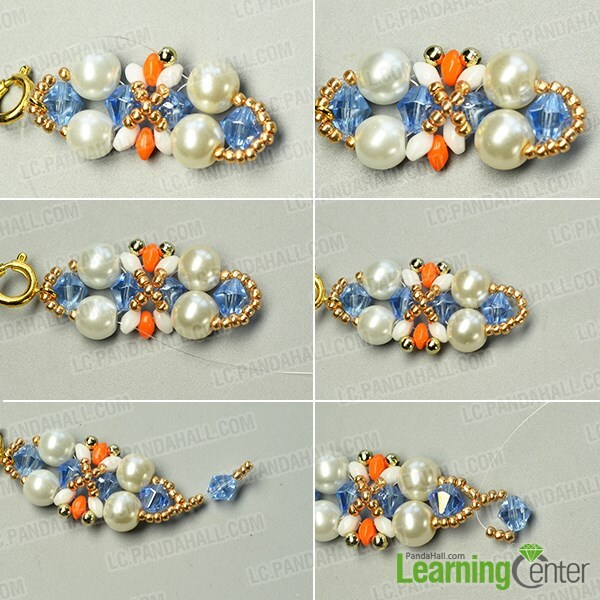 This tutorial will show you a pearl bead bracelet to you all, hope you will like it. 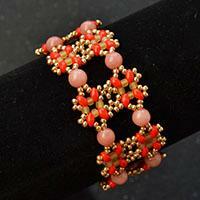 There are so m any delicate beaded bracelets on our web, do you like them? 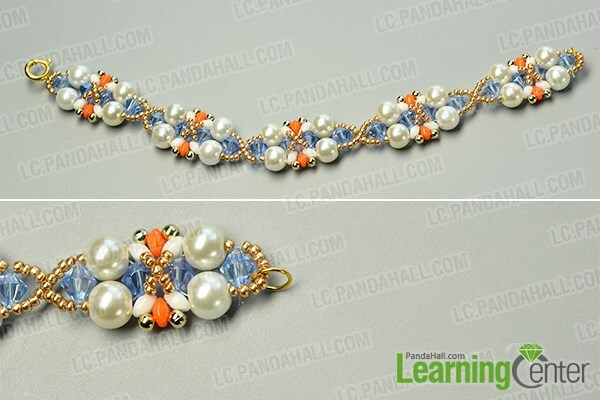 Today’s project is a pearl bead bracelet made with seed beads and glass beads, are you expecting it? 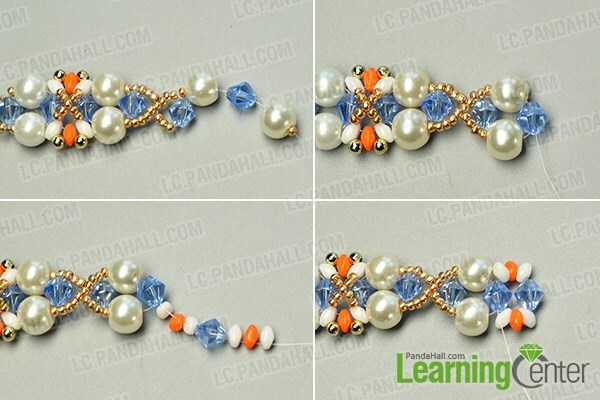 Now I will tell you how to make a beads bracelet. 4th, slide 4 white 2-hole seed beads, 2 orange 2-hole seed beads and a glass bead to the wire in sequence, then cross it back through the glass bead as pictured. 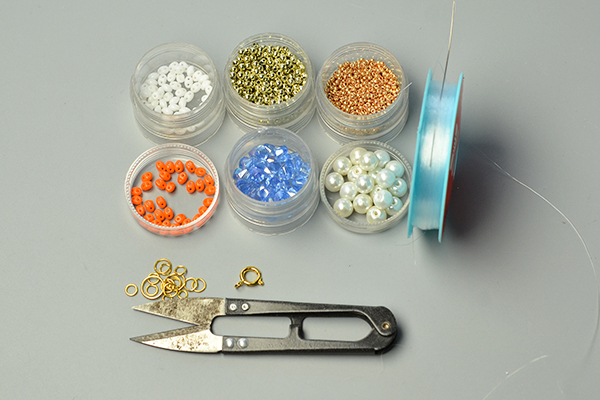 3rd, cross the wire the glass bead and pearl bead, then add 10 seed beads to it and cross it through pearl bead as pictured. 3rd, cross the wire along through the seed beads, then slide 3 seed beads, a glass bead and 3 seed beads to it and cross it back through the middle seed bead. 2nd, slide 4 white 2-hole seed bead, 2 orange 2-hole seed beads and a glass bead to the wire in sequence, then cross it through the glass bead. 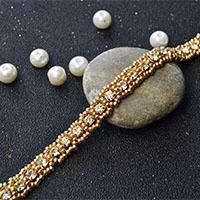 2nd, add a golden jump ring to the other end of the pearl bead bracelet. 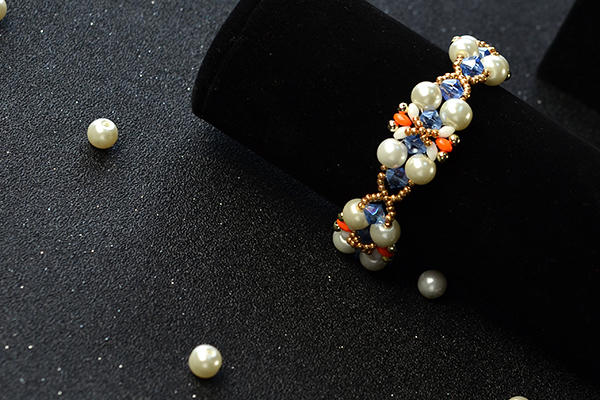 The final look of the pearl bead bracelet. Now I finished this delicate bracelet, do you like it? Through it may a little complex for a green hand to try, it really deserve your hardship, right? Why not have a nice try now? 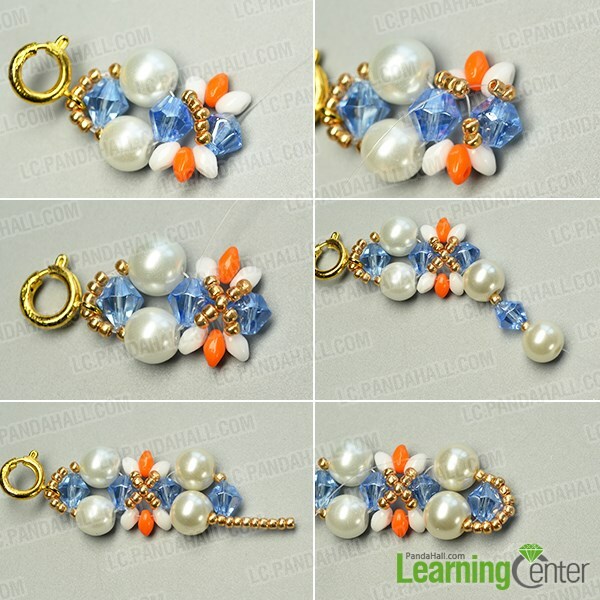 This project is inspired from http://lc.pandahall.com/craft-ideas/12937.html.